Cacık is a Turkish dish of seasoned, diluted yoghurt, eaten throughout the former Ottoman world. In Greece it is called tzatziki. It is served cold in very small bowls usually as a side dish or with ice cubes. 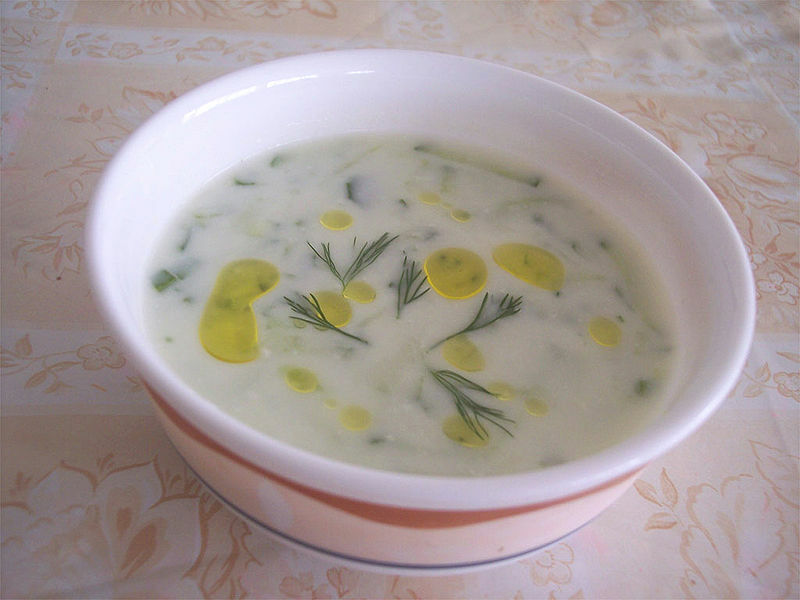 Left: A small bowl of cacık, served with few drops of olive oil and a few pieces of dill. 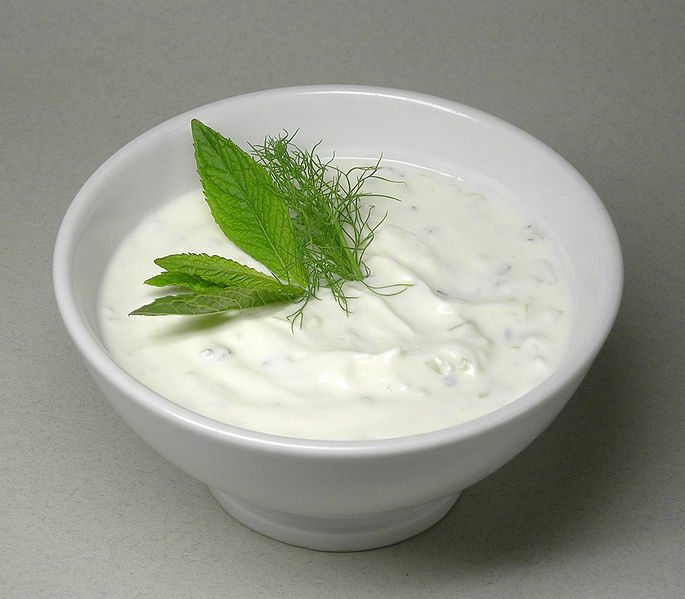 Cacık is made of yogurt, salt, olive oil, crushed garlic, chopped cucumber, dill, mint, and lime juice, diluted with water to a low consistency, and garnished with sumac. Among these ingredients, olive oil, lime juice, and sumac are optional. Dill and mint (fresh or dried) may be used alternately. Cacık, when consumed as a meze, is prepared without water but follows the same recipe. Ground paprika may also be added when it is prepared as a meze. As a rarer recipe, when prepared with lettuce or carrots instead of cucumber, it is named kış cacığı (winter cacık). Left: Turkish cacık, made with yoghurt and cucumber. A similar side dish prepared in India is known as raita. Particularly popular in the state of Maharashtra, it is prepared with cucumbers, onions, tomatoes and quite often, grated carrots.